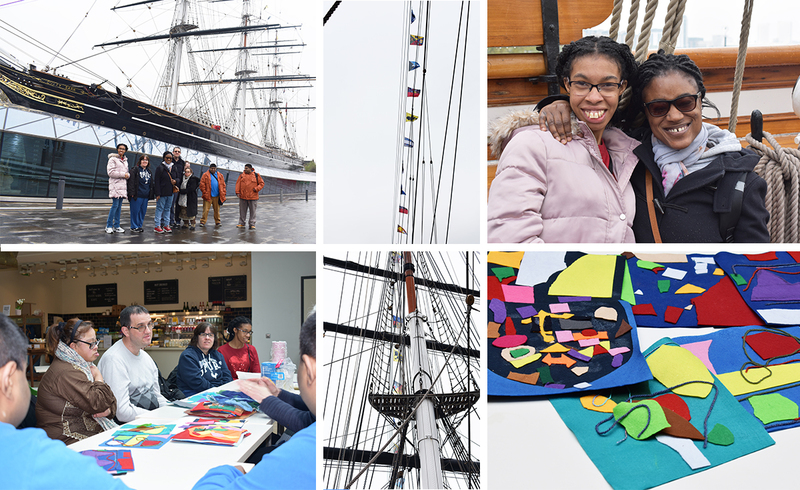 Our New Dawn members were recently invited to London’s most famous boat to take part in a flag-making workshop. Now based in Greenwich on a custom-built dry dock, the Cutty Sark was originally built in 1869 on the River Clyde to transport tea. The opening of the Suez Canal, however, meant that steamships now enjoyed a much shorter route to China, so the Cutty Sark spent only a few years on the tea trade before turning to the trade in wool from Australia. In keeping with this history, the members used wool to create their flags whilst sitting under the golden hull of the ship. Photographs were then taken of the final products, and were transformed into large flags which now fly high on the battens of the ship (pictured).